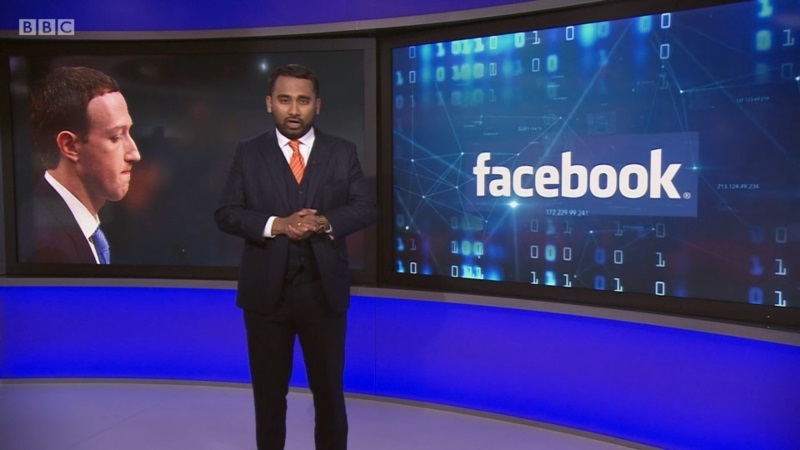 Plenty of lighting changes earlier during tonight's Ten, for stories on Facebook, Mexico and then team colours for Man City v Liverpool in the Champions League. Still not 100% sure those lighting strips can change colour from the standard red! 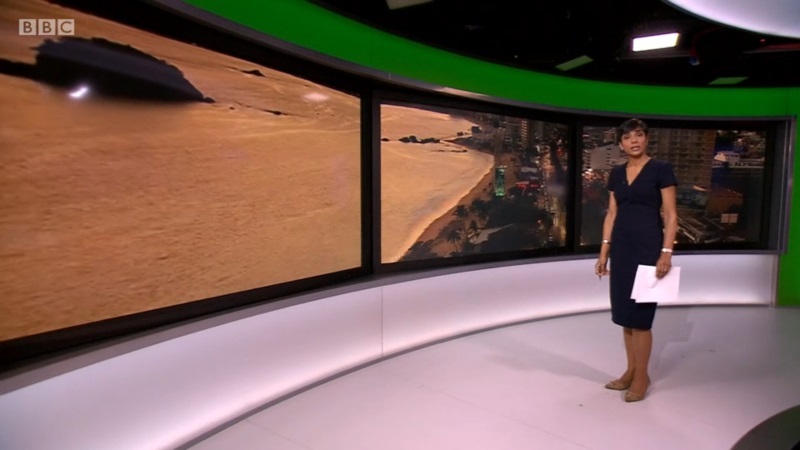 How tacky, the case of just because you can it seems with BBC News just lately. I know right, just because they've now got the AR fancyness doesn't mean they need to show off they can cover up the red lightboxes with virtualness! That's the UEFA Champions League logo, not the UEFA logo. Of which the UEFA part was updated. 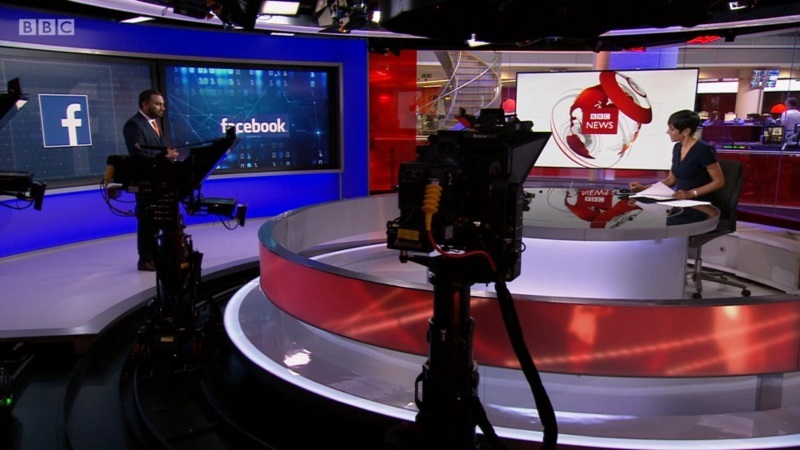 I do think all the BBC News sets look so much better when they're lit in a colour other than red. Why doesn’t Studio E have the on air confidence monitors that Studio C has below the teleprompter?